The Idaho Panhandle National Forests Kaniksu National Forest Map is the 2011 revised visitor and travel map by the U.S. Forest Service. This map shows where travel is allowed and where restrictions occur on National Forest System lands and, along with the Motor Vehicle Use Map for the Kaniksu National Forest, covers the northern portion of the Idaho Panhandle National Forests. For roads and trails open to wheeled, motorized vehicles, please refer to the Motor Vehicle Use Map for the Kaniksu National Forest. Generally motorized winter travel restrictions are displayed on this visitor map as well as some non-motorized restrictions. The Idaho Panhandle National Forests provide a wide variety of recreational opportunities for both summer and winter motorized and non-motorized activities. Stop by any Forest Service office and ask for information regarding recreation opportunities, specific activities and restrictions. 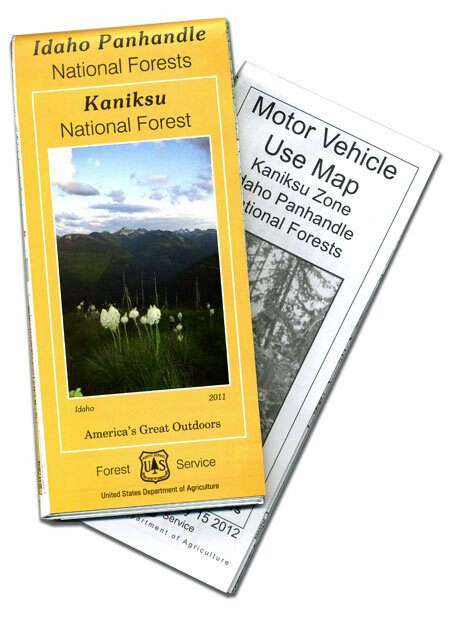 The Idaho Panhandle National Forests Kaniksu National Forest Map and Motor Vehicle Use Map are sold together and will be mailed together in your order. The Panhandle Loop Tour Travel Map is the 2007 map by TerraPen Geographics of Sandpoint, Idaho. The Panhandle Loop Tour will take you through three states (Idaho, Washington and Montana), two time zones, and some of the most beautiful and varied terrain in the region. Much of it is the traditional lands of the Kalispel Tribe and the Coeur d’Alene Tribe, with additional use by the Kootenai, Flathead and Spokane tribes. Your drive will take you along routes traveled by fur traders, missionaries and miners, past lakes once dotted with steamboats, through towns tied to railroads, mines and lumber mills, and across productive agricultural lands. The full loop tour is approximately 275 miles, but it can be shortened by omitting side trips and altering the routes. Stoneridge Resort developed this loop tour in 2006-2007 in conjunction with its new miniature golf course. The unique 19-hole course follows the actual tour and features miniature replicas of historical buildings, a waterfall and stream, and interpretive signs. The map includes history, culture, recreation, bike routes, Lake Pend Oreille, Coeur d’Alene Lake, Coeur d’Alene Mountains, Clark Fork River Valley, Silver Valley and the Rathdrum Aquifer. 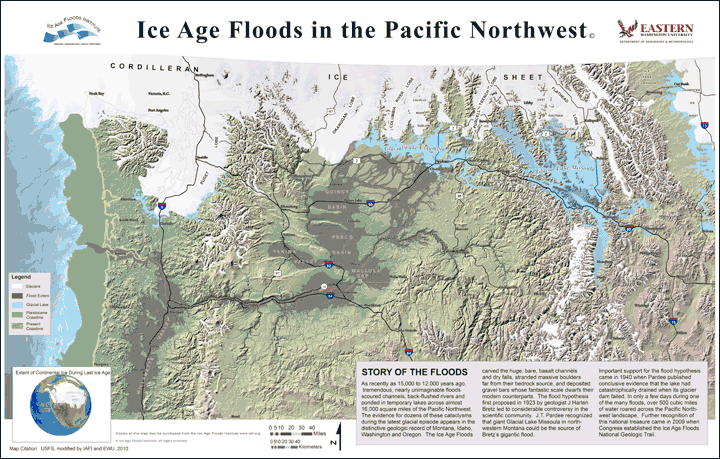 The Lake Pend Oreille Recreation Map is the 2006 map published by TerraPen Geographics of Sandpoint, Idaho. The waterproof, field-checked map of Lake Pend Oreille includes boat ramps, marinas, gas, mooring buoys, lake depth contours, public shoreline, paddlecraft access, swimming areas, picnic areas, camping, trails, Forest Service roads, sportsman’s access, golf courses, points of interest. If you’re thinking of moving to Sandpoint, Idaho – or just planning a vacation here – you’ll love the Sandpoint Idaho Relocation Packet. An envelope full of printed goodies about Greater Sandpoint will arrive in your mailbox before you can hop a flight to the “Most Beautiful Small Town in the USA” (Rand McNally/USA Today), “Idaho’s Hippest Mountain Town” (Men’s Journal) and a “Top 10 Emerging Ski Town” (National Geographic Adventure). 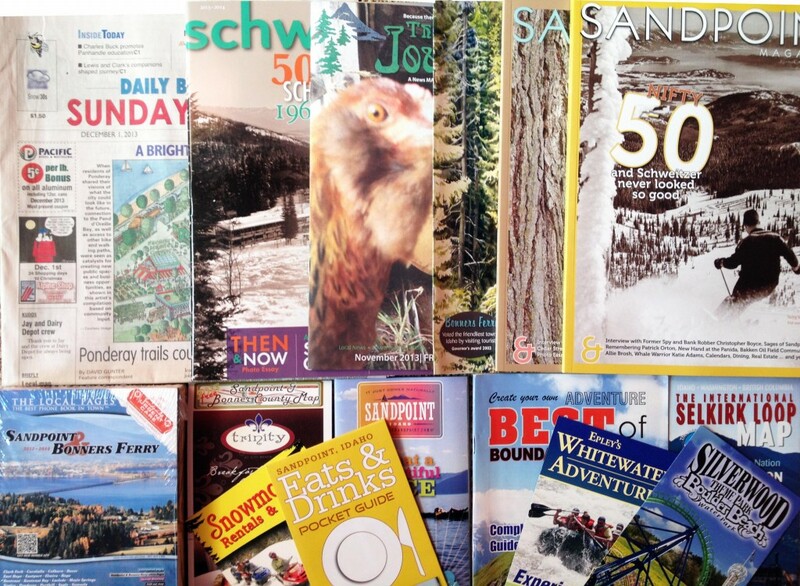 The packet includes the Sandpoint Visitor Guide, the last two issues of Sandpoint Magazine, a recent copy of the Bonner County Daily Bee and weekly newspaper Sandpoint Reader, Schweitzer Magazine, a local phone book, a Sandpoint and Bonner County Map, and various tourism brochures. The cost is only $15 and that includes shipping! First published in November 1990 with the Winter 1991 edition, Sandpoint Magazine chronicles our town with high-quality stories, photography and artwork in a beautiful, color glossy magazine delivered twice a year in winter and summer. Editions are published each November and May. To get the full effect of our town’s No. 1 magazine, subscribe to the real-life, hard-copy edition for only $12 a year! Sandpoint Magazine is our town’s leading publication, loaded with top-notch journalism, complete information on upcoming events, dining, lodging, attractions and more. Learn more and see the current and archive issues at SandpointMagazine.com. 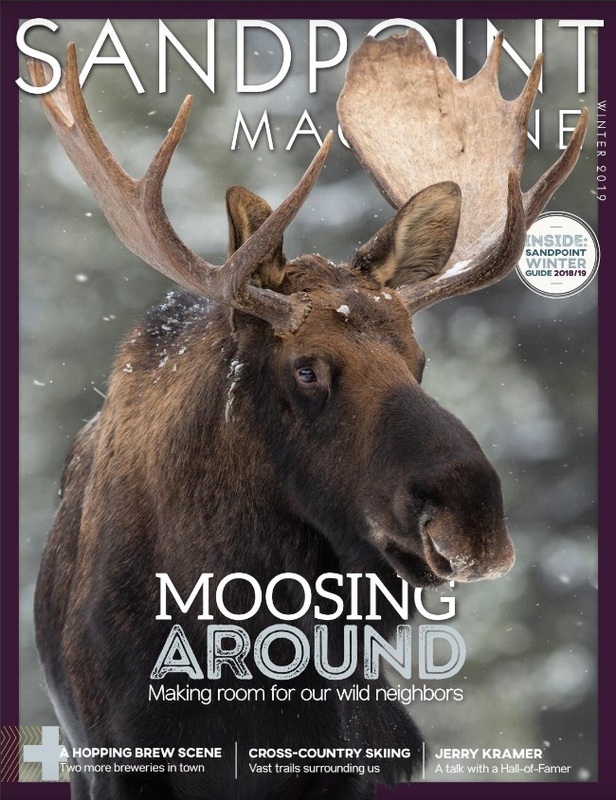 Sandpoint Magazine is published by Keokee Co. Publishing, Inc. In addition to this magazine, Keokee Co. produces the community Web portal SandpointOnline.com; publishes books under the Keokee Books imprint; and through Keokee marketing communications provides creative services for hire to more than 200 businesses and organizations.